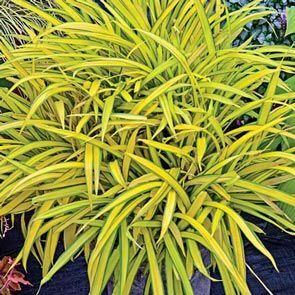 Shade-loving sedge grows where most true grasses can't—but put it in a pot, and the possibilities are endless. Just be sure to choose a container that shows off the bright colours of the foliage. Potted sedges can be placed on a café table, porch step and even in a hanging basket to bring the intricate details of the leaves closer to the eye. Or place a few potted sedge plants under a tree or shrub to add interest down below. Add some flowering annuals, and your unique container display will be the talk of the neighbourhood! 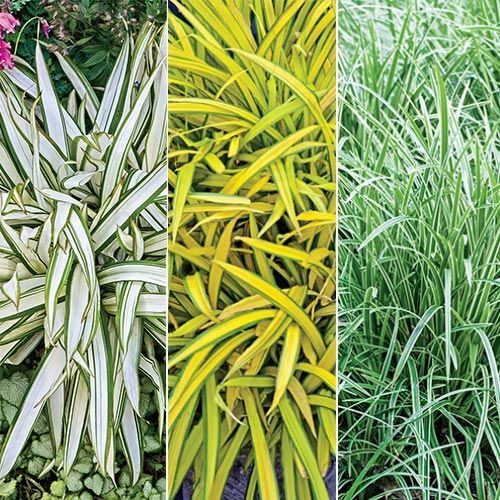 If you're a fan of ornamental grass, you probably know they perform best in full sun. So what's a shade gardener to do? 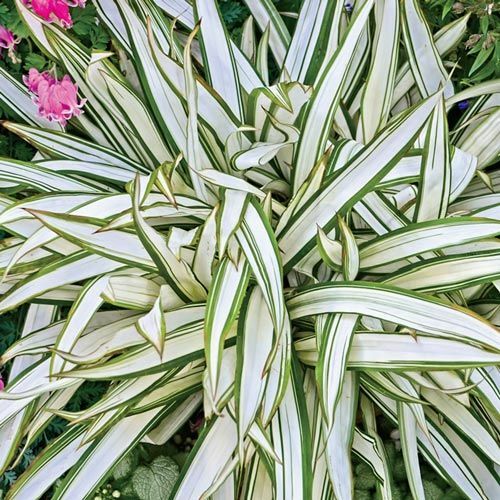 Plant some spectacular, shade-loving sedges! 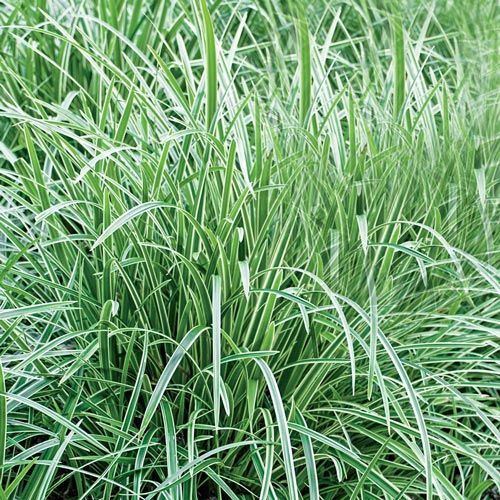 Not a true grass, sedge plants are known for their dynamic, clumping foliage that thrives even in the darkest corners of your landscape. 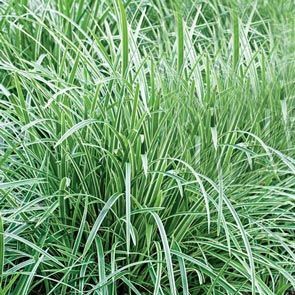 A great ground cover, sedge will creep slowly to form a dense mat of bright foliage 6-12" tall. It also contrasts nicely with other shade favourites including hostas, ferns and heucheras. 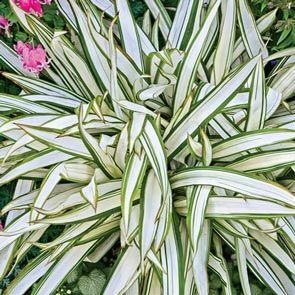 The strappy, striped leaves of variegated sedge draw the eye to once dark areas of the garden and their slow-growing, low habit makes them ideal for containers, too. It is easy to grow and Non-Invasive and attracts Butter¬flies as a Host Plant. 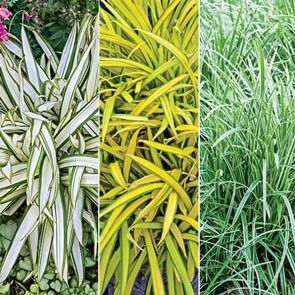 The three distinctive varieties in our new Variegated Sedge Collection look great when planted together and will add easy-care colour and texture to shaded borders, beds and containers. Planting Instructions Top of root ball to be at soil level. Water well after planting.